eCommerce HTML5 templates have been winning hearts of all eminent and smart web developers and designers all across the globe. The HTML5 coding makes them easy to use and alter according to necessity. 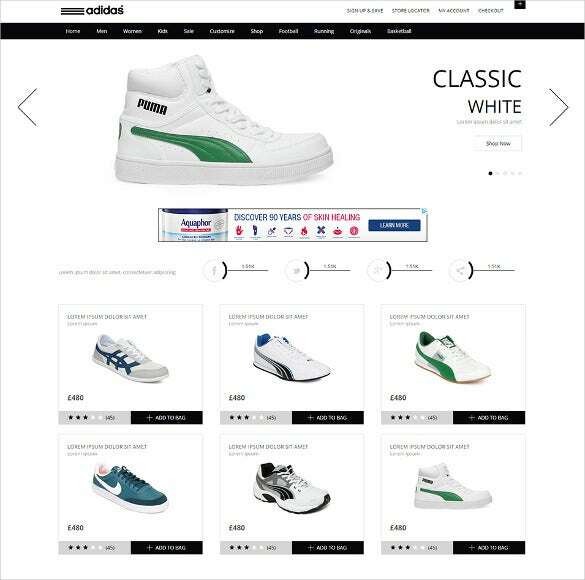 HTML5 eCommerce templates can be used for multiple purposes, which extend from blogging to eCommerce.You may also see eCommerce Drupal Themes. The more popular ones are the multi-purpose responsive html5 templates which thrive on HTML5 coding; hence can be adjusted to any niche. The pictures can be edited as well, and it is worthy of mention that the sortable galleries can support high resolution images with annotations. 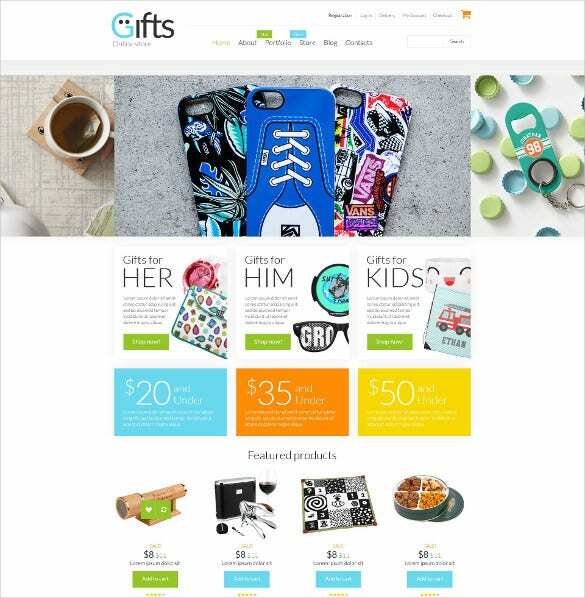 The added features in this regard may include cloud zoom and easy cart options, which make the lives of both the developers and the shoppers much easier.You may also visit HTML5 eCommerce Themes. 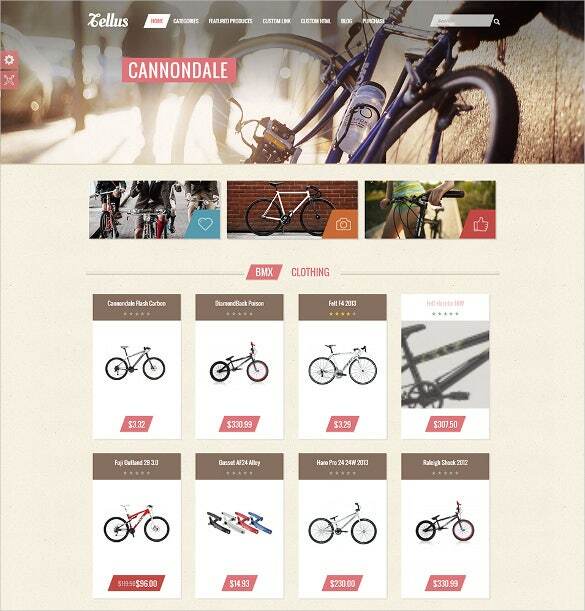 Built with the very popular Bootstrap3 framework this e-commerce website template has HTML5, CSS coding. Light & Dark template comes with features like multiple colors, icons slider revolution etc. 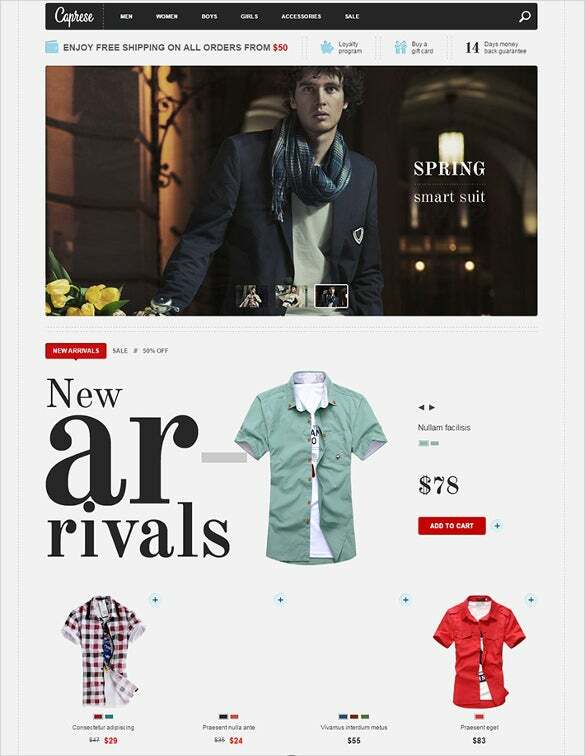 This template can be used for any kind of fashion, retail or other such e-Commerce websites. 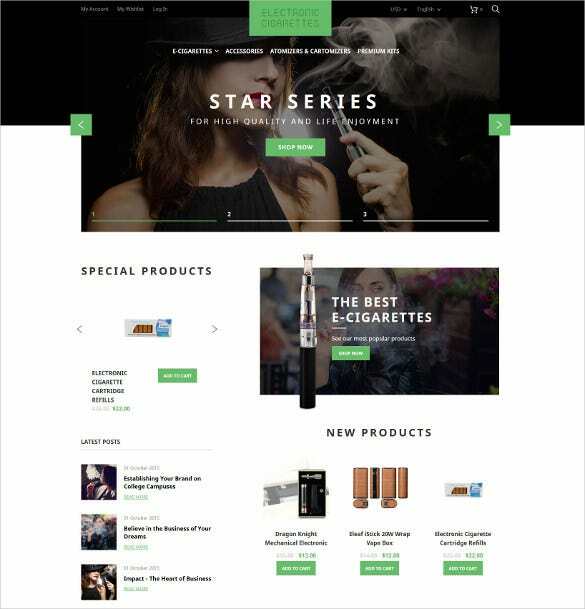 Cigar site lovers can make ecommerce awesome themes based cigar websites, offer direct selling and pricing information and install various payment gateways to users using the cigar smoking templates. 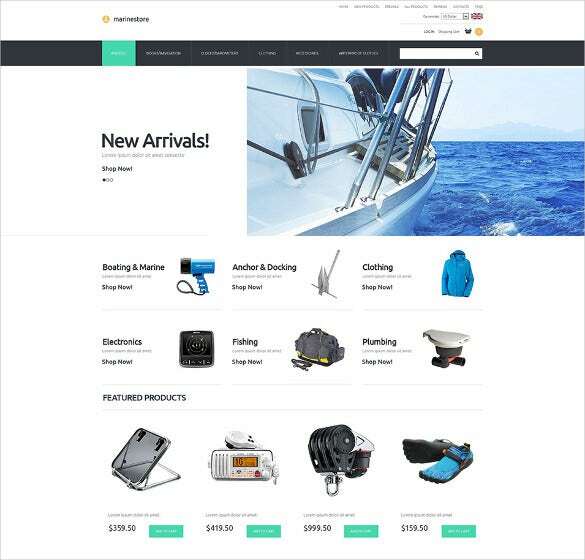 uStore shopping templates help you create fully responsive and portable ecommerce websites, customize each category and page as per your design and install easy check out options to lure more users. 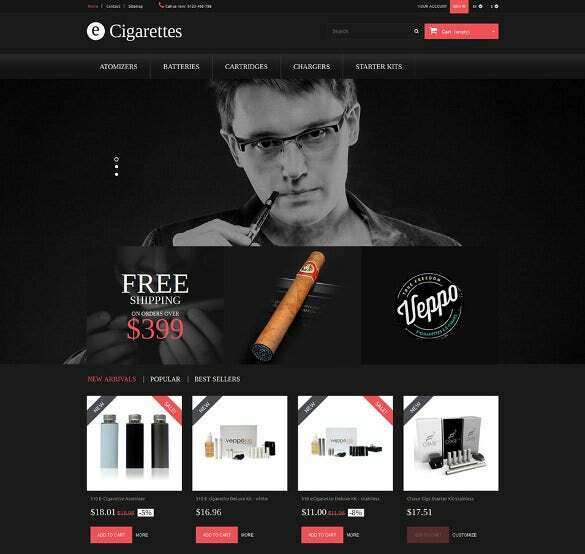 Electronic cigarettes Magneto e-commerce HTML5 theme is a multipurpose theme that can be used for tobacco, fashion, lifestyle, automotive and other stores. 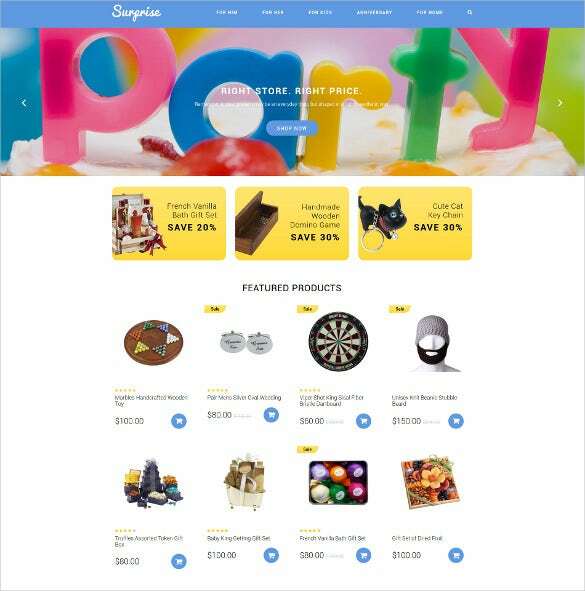 It includes social options, MegaMenu, drop down cart, custom page templates and much more. Set your own e-commerce store for fashion, gadgets, jewelry and various other things easily with stylish cloud zoom HTML5 eCommerce template which has Jquery short codes, sliders, carousal, Ajax Contact form and much more. 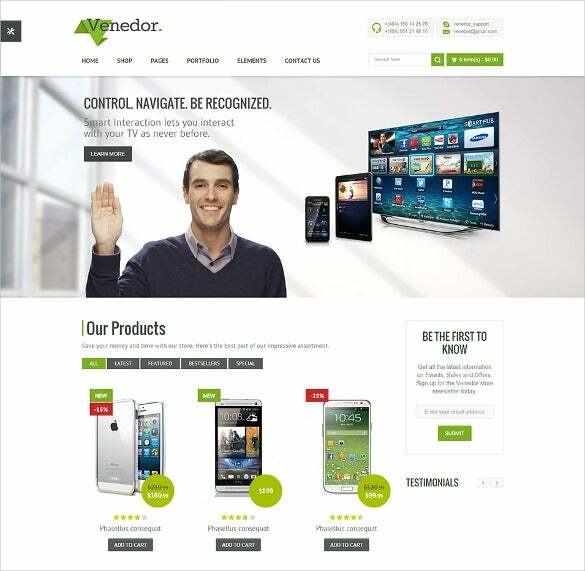 This responsive HTML5 template can be used for computer, camera, gadgets and other related stores. It comes with premium features and is well documented. You can view the live demo to understand its usage properly. 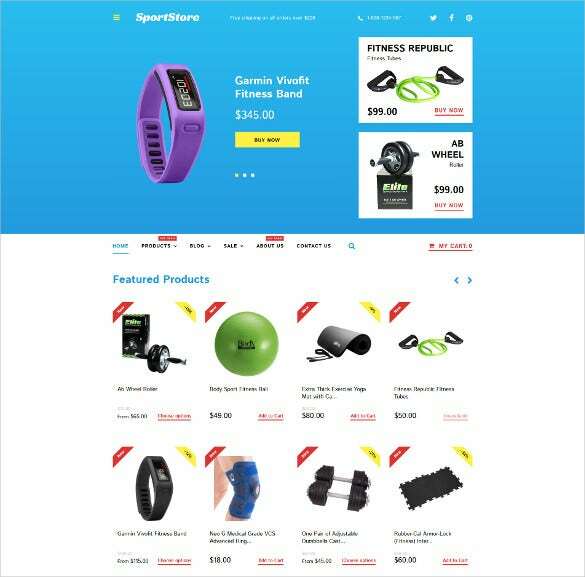 Awesome dark blue VirtueMart eCommerce HTML5 template has a monochromatic dark background and yellow color is used to highlight price tags etc. It comes with dropdown menus, calendar, commenting system, Google map integration and much more. Popular multipurpose HTML5 eCommerce template can be used to design websites to sell anything starting from fashion accessories to gadgets. 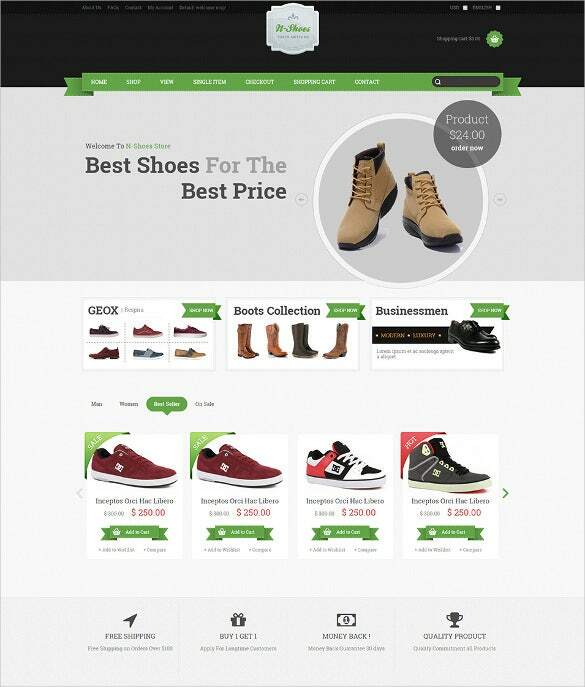 It is a Bootstrap e-commerce template and supports multiple layouts for all your pages. Download now! 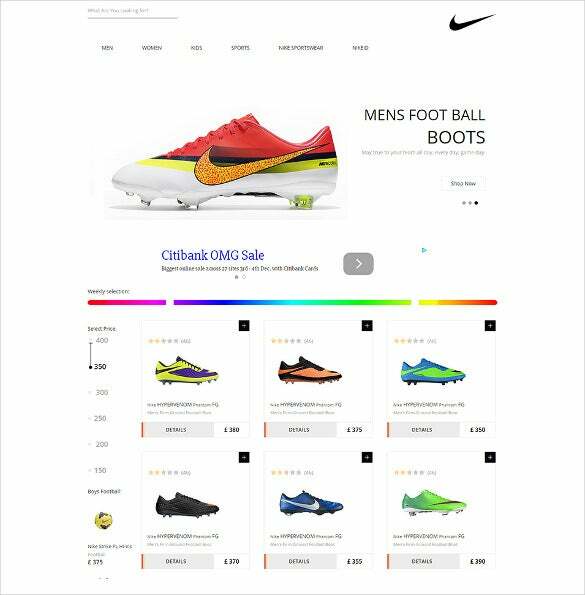 Download flat e-commerce HTML5 responsive web template for absolutely free to create online stores for selling sports related items, gadgets, fashion and other related things. It has high resolution and comes with fluid responsive layout. The cloud zoom plugin integrated ecommerce HTML5 template has a very catchy and elegant design that looks great on all screen sizes. It comes with boxed and full width layout options, multiple header designs, Mega menu and much more. 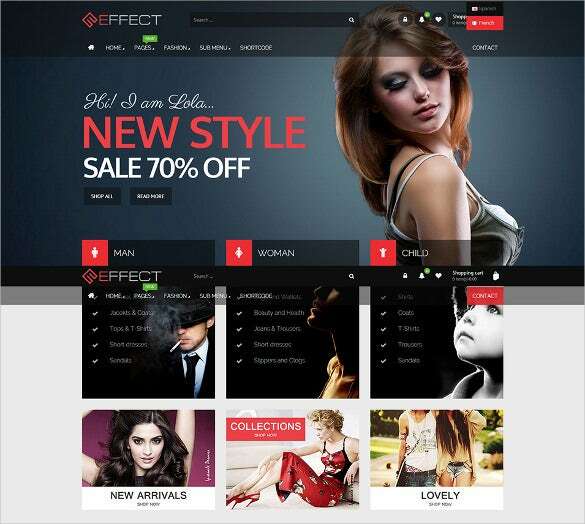 Perfect fit eCommerce HTML5 template for online shopping can be used for almost any kind of e-stores including luxurious yachts, fashion jewelry etc. 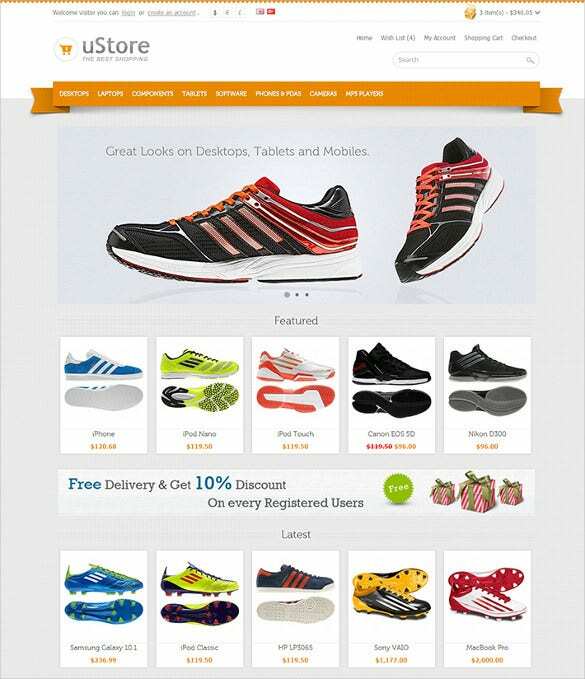 It comes with sliced PSD, back to top button, drop down cart and much more. Eye catching colors responsive HTML5 e-commerce template has unlimited color options, zoom effect, cross-browser support and much more in an easily customizable font. You can use it for any kind of online store like shoes, clothes, makeup kits, accessories etc. 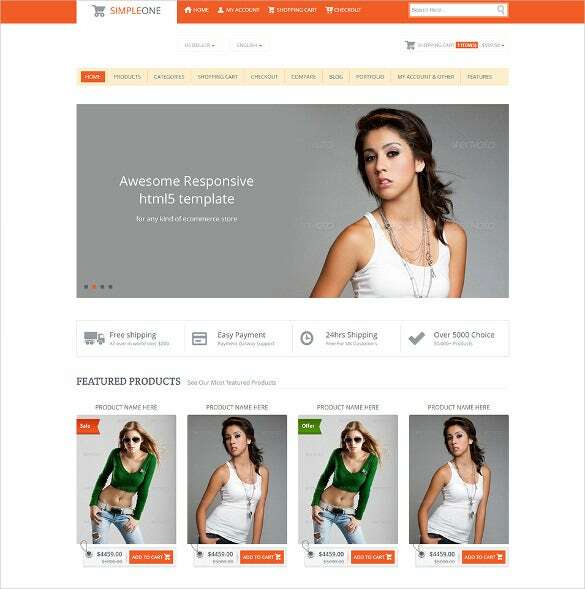 Surprise OpenCart e-commerce HTML5 template will help you set up your own online gift store easily in no time. It comes with multiple language support, multiple payment gateways, stick to top menu and much more. Free clean white e-commerce website HTML5 template has a very basic, white background, simple design with colors to highlight image backgrounds etc. and put focus on the content. 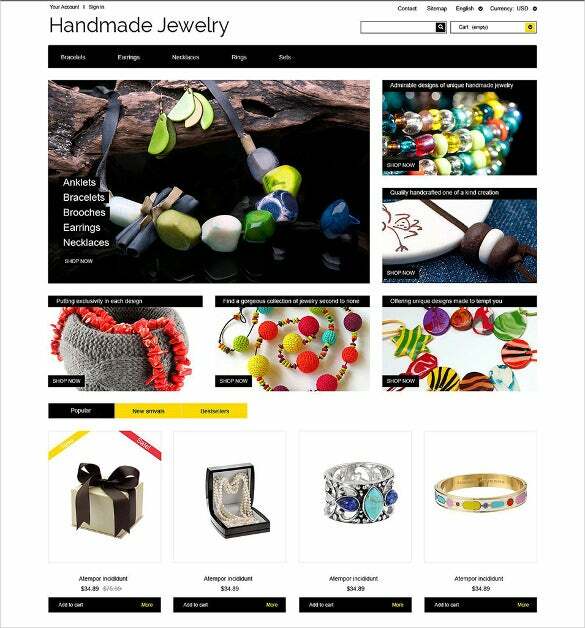 Use it for shoe stores, fashion, gadgets, cars or any other online store. 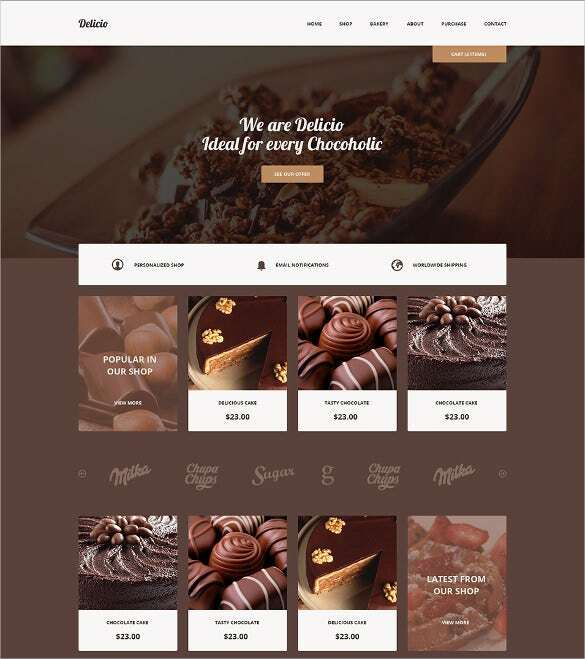 100% retina ready, responsive e-commerce website template is a perfect match for all kind of food related online stores. It includes features like retina ready design, flex slider, jQuery carousel, Google map integration etc. 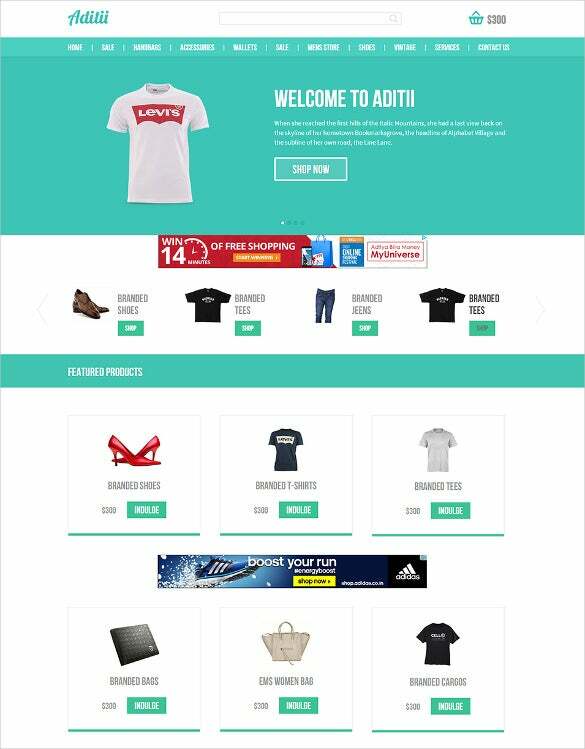 Get started with your own online store for clothes, shoes, accessories etc. 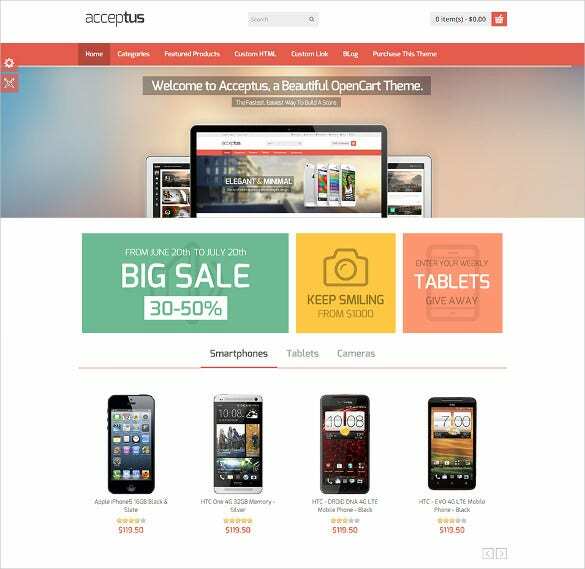 using this premium OpenCart theme with fully responsive design, unlimited color options, zoom effect, cross-browser support and much more. Modern and neat e-commerce HTML5 template is very elegant and you can use it to sell exclusive and luxurious products of all kind. It comes with homepage nivo slider, mega menu, search with drop down filters and much more. 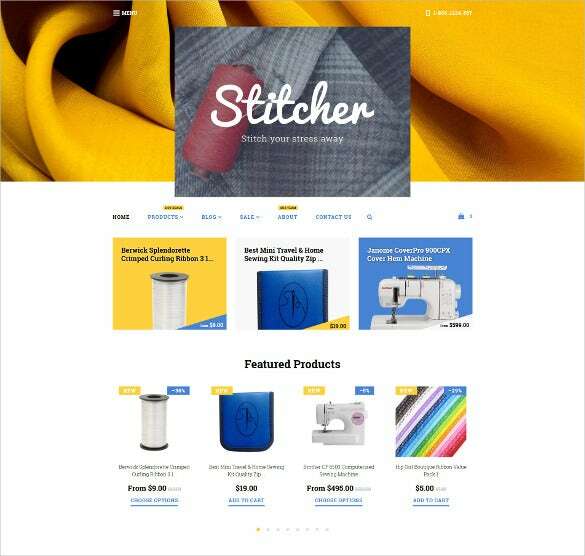 Simple e-commerce HTML5 color switcher theme is ready to use and easy to customize template that can be used for online stores selling fashion accessories, clothes, perfumes etc. It comes with product labels, FontAwesome icons, list/grid view category etc. The more popular ones are the multi-purpose responsive html5 templates which thrive on HTML5 coding; hence can be adjusted to any niche. The pictures can be edited as well, and it is worthy of mention that the sortable galleries can support high resolution images with annotations. The added features in this regard may include cloud zoom and easy cart options, which make the lives of both the developers and the shoppers much easier.You may also visit HTML5 eCommerce Themes. There are hundreds of color and layout options for each of these Amazing HTML5 templates which are also completely responsive. So the visitors can experience the luxury of accessing them from any device on the go. The flexible coding amounts to their crossbrowser compatibility; this is an added perk as it ensures that a wide base of customers can access the ecommerce websites. Easy, hassle-free integration with Social media makes sure that the products and purchases gain deserved publicity.You may also check eCommerce PrestaShop Themes. 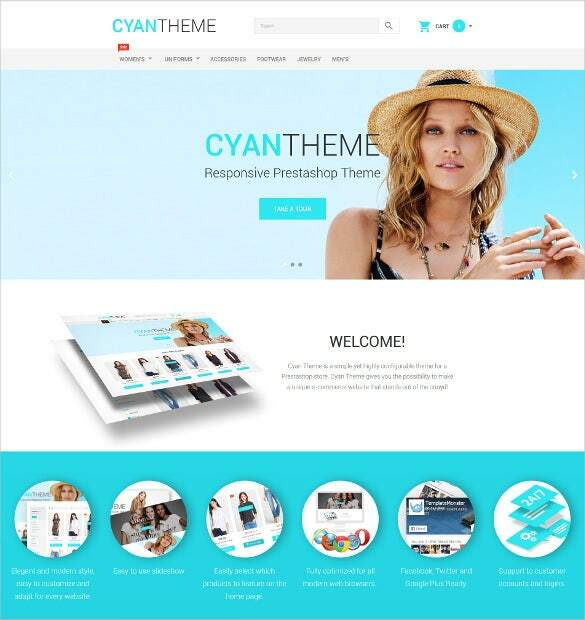 Most of these templates are well suited for both static and dynamic websites. Count in dropdown menus, mega menus, slider options, comments box, feedback sections and filterable search options while using the eCommerce Free HTML5 templates. 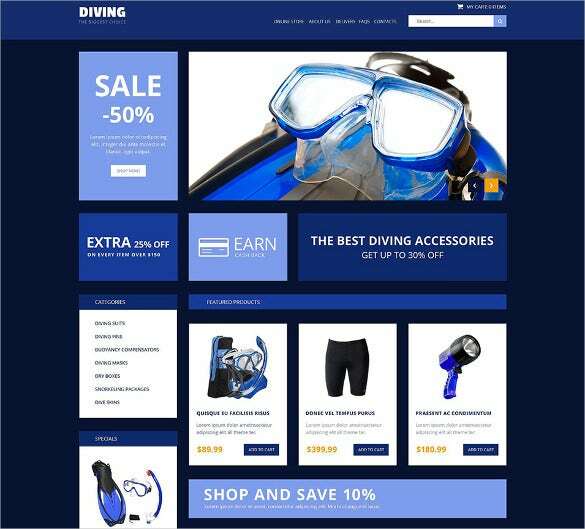 These templates add a unique sense of power and navigational ease to your eCommerce websites which draws more consumers over the night.